After this 15 second procedure is complete, assure that the leg moves freely (The foot - when properly installed is 3/8" off the floor). 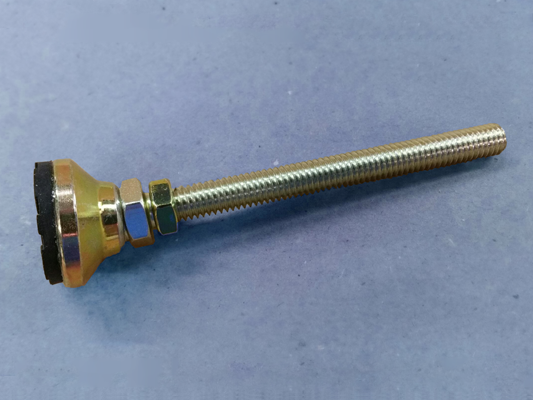 If it catches, take a moment to adjust it - you may need a wrench for this - by loosening the restraining nut and then twisting the zinc plated leg into the black threaded cap until the leg moves freely again. Now you're ready for the next toilet. See how easy that is? If a good cleaning won't help your Buttress look like new, take heart. We have genuine OEM replacement parts. Just contact us with what you need and we'll gladly get them shipped directly to you - usually the same day you call or fax us. (For same day shipping, orders must be processed by 1PM EST). Use the handy guide below. 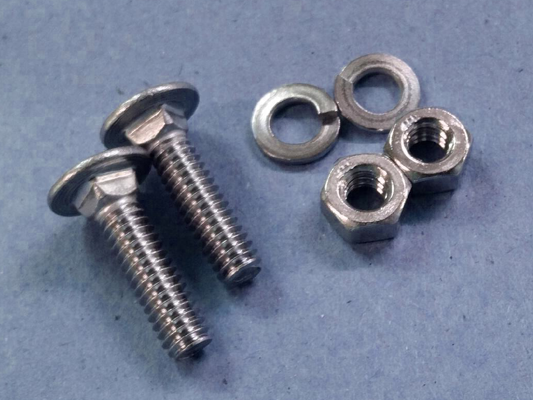 Two (2) Stainless Steel 1" Bolts, washers and matching nuts. Call for current pricing and shipping information. 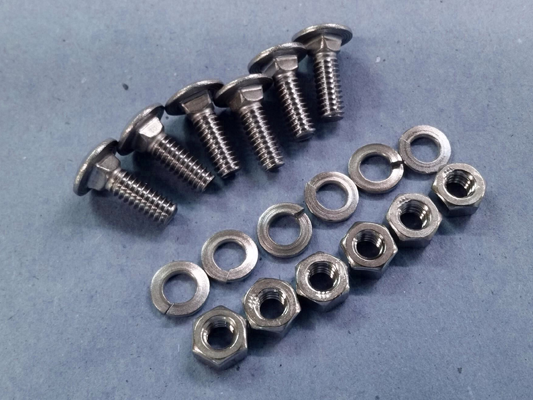 Six (6) Stainless Steel 3/4" Bolts, washers and matching nuts. 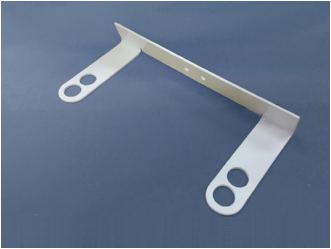 A powder coated, welded, 1/8" thick, metal bracket with medical grade "closed cell" adhesive for mounting the rubber bumper. 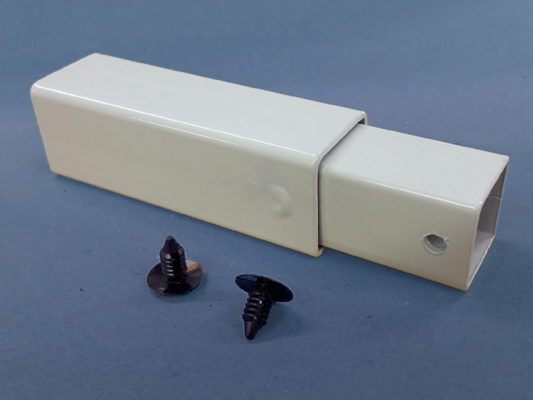 2" powder coated square tube welded metal leg with two (2) nylon black rivets. 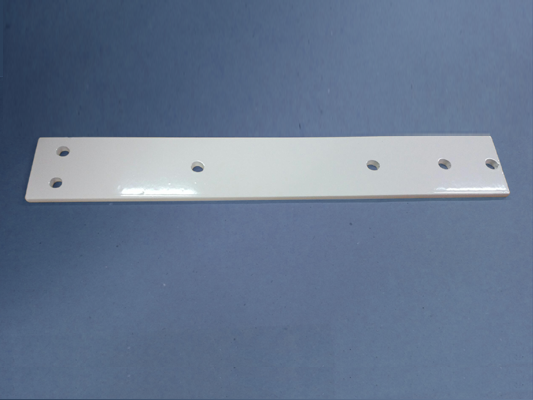 4" powder coated square tube welded metal leg with two (2) nylon black rivets. 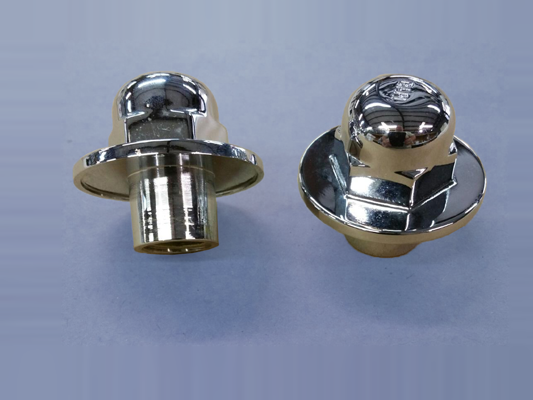 Two (2) Chromed flange nuts with extension insert for extra secure holding power. 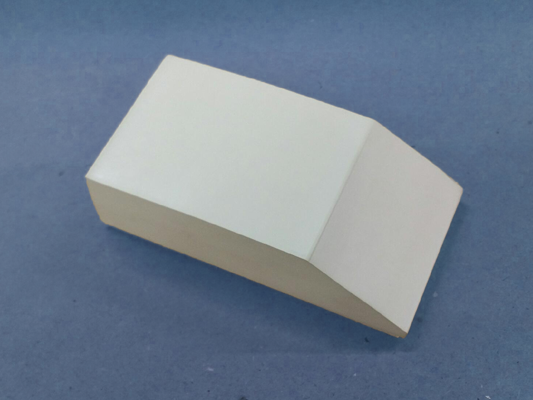 A custom made medical-grade, anti-bacterial, white Buna rubber bumper. 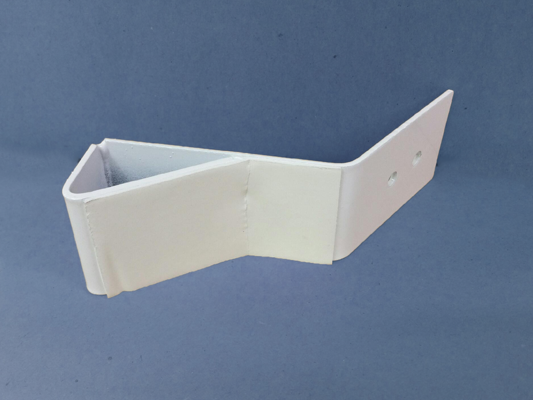 A 4", low-carbon steel, 1/8" thick, adjustable bracket for the universal fitting of The Buttress. A powder coated, 10", low-carbon steel, 3/16"thick, brace for the universal fitting of The Buttress. 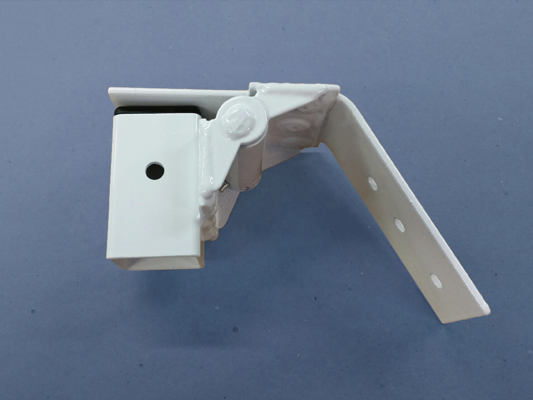 A powder coated, welded, low-carbon steel, spring-loaded, precision set hinge for the auto-return of the support leg on The Buttress after the custodial mop has interacted with the leg. Comes with nylon black cap. An "J" shaped, powder coated, 9", low-carbon steel, 1/8" thick, adjustable brace for the universal fitting of The Buttress. 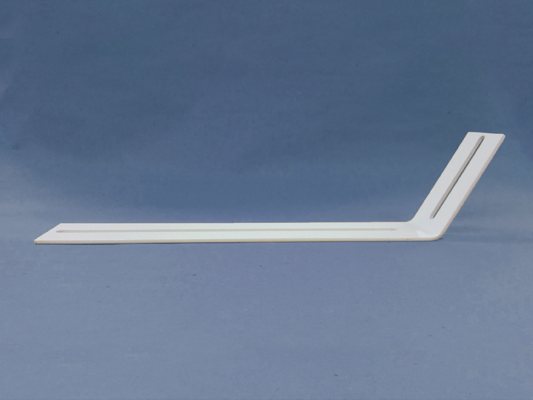 An "L" shaped, powder coated, 12", low-carbon steel, 1/8" thick, adjustable brace for the universal fitting of The Buttress bariatric wall-hung toilet support. 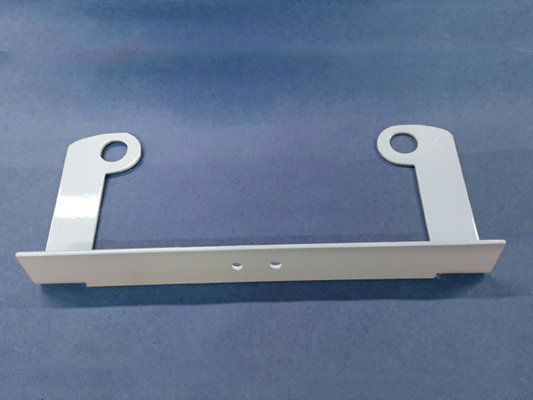 An "U" shaped powder coated, low-carbon steel, 1/8" thick, wall-mounted brace with precision angle bent for the proper lift of the universal fitting Buttress. 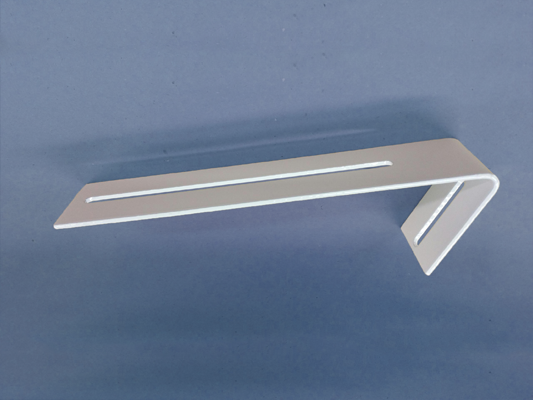 An "U" shaped powder coated, low-carbon steel, 1/8" thick, wall-mointed brace with precision angle bent for the proper lift of the universal fitting Buttress. 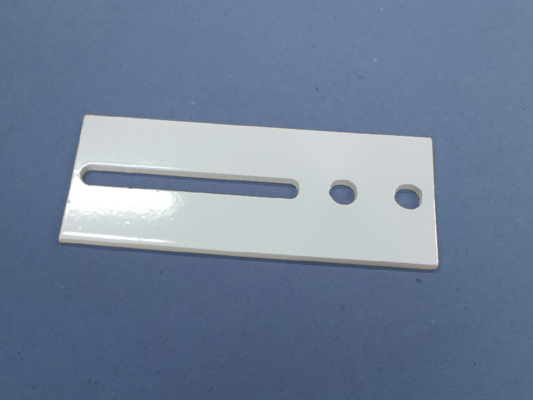 Has distinctive inward pointing mount holes. 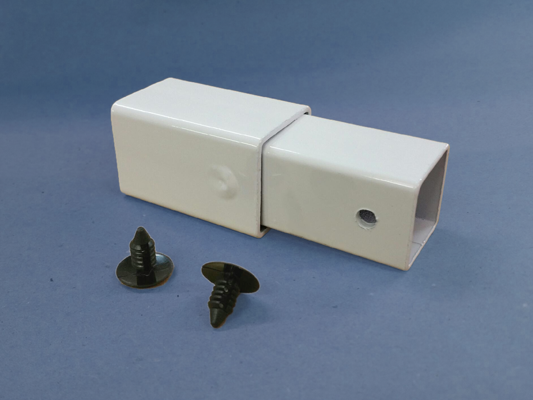 A snug fitting nylon insert with a threaded opening for the Zinc plated foot. This threaded insert proved to be significantly stronger than it's brass equivalent. An anti-corrosive zinc plated foot mounted on all-thread. 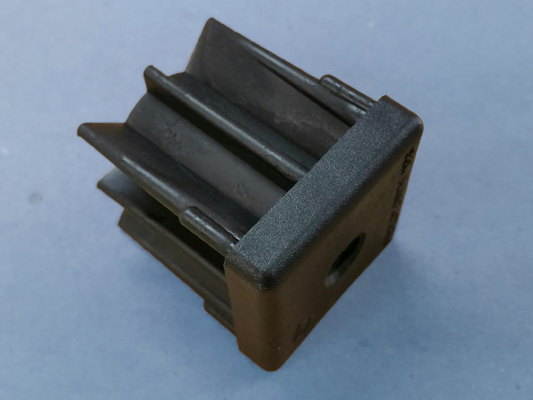 The metal foot has a black polymer base to assist with traction on the floor. 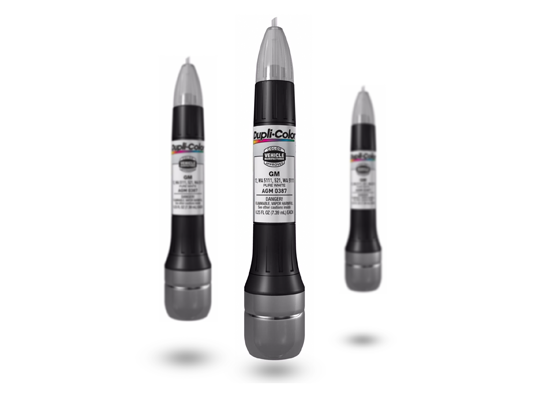 Matching paint in a pen form that quickly covers over small dings and scratches with ease. We suggest each custodian have one assigned to them so they can accomplish on-the-spot maintenance, helping reduce the effects of corrosive liquids.